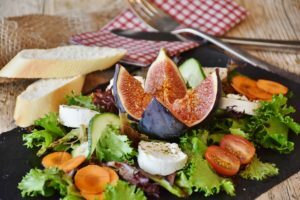 Professional photos of your dishes without a photographer – is it possible? Online marketing photos remain. Probably none of the content published on your restaurant’s social media will bring so much reaction. 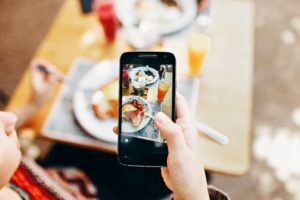 Good photos will help build your restaurant’s brand online and can increase the number of online orders. However, bad pictures that look unprofessional will have exactly the opposite effect. How to prepare a good photo? Observe what is popular on the Internet. Browse the profiles on Instagram and Facebook of other restaurants. Stay updated. When you are aware of the images that bring the most reactions in the industry, such as likes and comments, you will be able to assess your photos yourself. Observation of social media will also help you in seeking inspiration to create your own content. You will not take a good photo with a weak camera. On the internet, people like to see pictures that look unposed or not entirely professional. But quality must always be the best. Therefore, when planning online marketing strategy for restaurants do not forget about a good camera or a smartphone that has such a camera. An Apple smartphone is the best smartphone for taking photos. If you have iPhone 8 or 10 – one problem less on your mind. Samsung smartphones also have good cameras – e.g., Galaxy s8 or Galaxy s9. You’ll also need a photo editing tool. The Instagram application, despite its intuitive and simple design, has many filters and editorial functions. If you think that this is not enough, download the application, e.g., Vasco – which has a database of free filters, you can also buy additional ones. To take a good quality picture, a good camera is not enough. You must ensure adequate lighting. The good photos you use in your restaurant advertisement should be lit with natural light. The light of the bulb breaks the colors. If you do not have the opportunity to take pictures in the sunlight at your establishment, go outside! When taking pictures of your dishes remember to ensure that all the elements in the lens fit together. 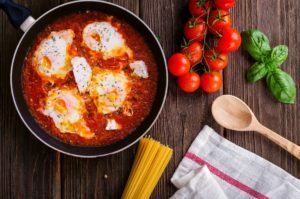 One of the trends in culinary photography in online marketing is arranging items and food products around the dish’s plate that will match both color and theme. Remember that in this case more does not necessarily mean better. This dish is supposed to focus the recipient’s attention! The orientation of the photo will also be important. You should not publish horizontal photos. The new Facebook layout is adapted to mobile devices; similarly on Instagram. On social media, share photos and graphics in portrait or square orientation. These take up more space on the screens of smartphones. Read more about creating content for social media. Read our article Talk to the guests of your restaurant as the best online marketing specialists. And if you want to increase sales and reduce the commission costs for food online ordering portals, please contact us. We will help you run your own online orders on your website and on a mobile application!